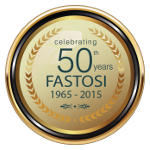 Fastosi Construction has been active for over 20 years a manufacturer of complete extrusion lines. We are pleased to announce the first High Performance Materials (HPM) extrusion lines installation in the USA, Philadelphia. Designed and built specifically for the extrusion of high-performance polymers. Our lines HPM result in a extruded product of an Excellent quality, probably best quality on the today’s market. The equipment is as well extremely Cost-Effective. Lowest Cost Extrusion Process available. Through various measures , studied in collaboration with our customers, we built Extrusion lines with outstanding Output-Capacity (exceeding 20 Kg/h, and higher depending on Material type, Dimension, and Extrusion line Type chosen), while minimizing production scrap, and not to forget Set-Up times (changing dimensions). The HPM lines go so to support the wide range of our plants . We have a solution for every need , but if you feel that among our products there is not one that resolves your problem (s) , with your collaboration , we’ll create it. In addition to our Multiple Rod Lines, extrusion Outputs of up to 35 Kg/h and maximum diameter of 8 inches (210 mm), we also design & construct lines for the plate/slab 620 mm wide and/or 1250 mm wide. We are planning as well planning an extrusion line for plate/slab with a width of 1570 mm.